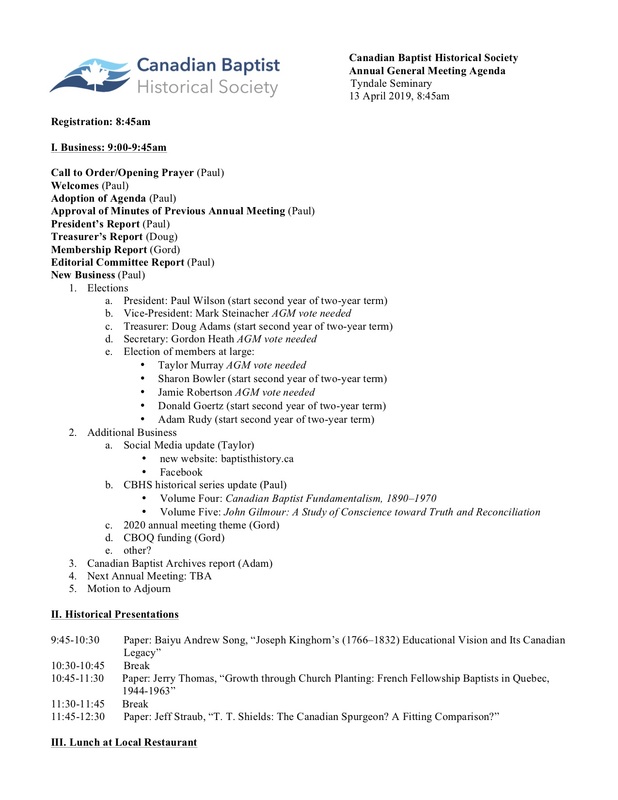 On Saturday, 13 April 2019, the members of the Canadian Baptist Historical Society are gathering for our Annual General Meeting. Below is the agenda. Note: When you come onto Tyndale’s campus go to parking lot C and enter the south entrance. Our meeting room is A310. It is the first classroom on your left. This entry was posted in News and tagged AGM, Annual General Meeting. Bookmark the permalink.